As part of a week-long series on the changing face of IT Security, Channelnomics Europe spoke to our CTO, Mark Kedgley on a number of key security topics, including what are the biggest challenges facing the IT industry, what are the biggest opportunities for IT security providers, and will hackers always be one step ahead of IT security providers? What are the biggest challenges currently facing the IT industry? 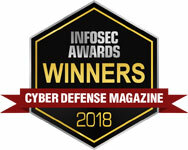 "For us, it is still education of the market to get the acceptance that security threats are real and that an information security strategy, rather than just products, are needed. It's then a case of providing leadership for the strategy, ensuring that best practices are understood and operated, chiefly system hardening, change control and breach detection." What are currently the biggest opportunities for IT security providers? "Compliance offers a compelling driver for the uptake of security best practice. This, in turn, needs products to automate and power it. There is a real hunger in the large and medium enterprise market for vendors who understand and deliver compliance solutions." Will hackers always be one step ahead of IT security providers? "That isn't the reality of the situation - the overwhelming majority of security breaches happen because they are allowed to take place. If a full range of security best practices are properly operated, 24/7/365, then it is entirely feasible that an enterprise can remain secure. The reason why organizations get breached is because they leave gaps and cut corners, not because technological solutions are inadequate. Anti-virus technology may be left floundering now, blind to a significant minority of malware, but there are well-defined compensating technologies that will ensure ‘broad threat spectrum' protection is provided." You can read the full series on Channelnomics Europe’s website here.